All Sufficient God Church is a Bible-believing, Spirit-filled church. We do not believe that the "church" is a building or structure, but rather the believers in Jesus Christ are the church (Ephesians 5:22-33). We are a church outside the four walls. Our emphasis is to take the love of God onto the streets and into the marketplace. It is our desire to see people have personal God-encounters on the streets and in the marketplace that eventually lead to worldwide revival. Nathan and Dawn Pietsch are missionaries, and the founders of All Sufficient God Church. Their primary emphasis is taking the love of God onto the streets and into the marketplace. They have prayed for thousands of people outside of the church building. In addition to taking the love of the Heavenly Father, Jesus Christ, and Holy Spirit onto the streets and into the marketplace, Nathan and Dawn train, equip, and activate other believers to fulfill the great commission. Jesus said in Mark 16:15, "Go into all the world and preach the gospel to every creature." You can learn more about Nathan and Dawn's four primary ministry objectives on the ministry page. The world is in need of a major Holy Spirit outpouring, and God often uses people to bring reformation. Nathan and Dawn Pietsch love to be used by the Lord to bring revival to entire regions. In the Revive Us Series, Nathan explains how geographical areas can experience great transformation through four key components. The four key components to revival Nathan speaks on are: deliverance, prophecy, healing miracles, and evangelism. The following teaching series were recorded live in Switzerland, and can be accessed by clicking the links below. If you or your church are interested in hosting Nathan and Dawn Pietsch, please contact us. Thank you so much. Frontline Chronicles is the monthly publication of All Sufficient God Church. Every month All Sufficient God Church releases an update from the mission field on what God is doing through this ministry. Inside Frontline Chronicles you will read powerful testimonies, receive prophetic insight, increase your faith, and be encouraged. All Sufficient God Church is proud to present, Destiny Activated: Unlocking Your Life's Purpose. Destiny Activated is designed to help you accomplish your true God-given destiny in life. This will be accomplished in a variety of ways. You will discover the major sphere of influence you are destined to impact. You will then remove any obstacles that might hinder your advancement. Along your journey your relationship with the Heavenly Father, Jesus Christ, and Holy Spirit will significantly deepen and blossom. You will be radically empowered to change the world around you. Destiny Activated will teach you how. If you are interested in learning more about Destiny Activated, or how to begin your own Destiny Activated Empowerment Group, please visit www.destinyactivated.com or contact us here. 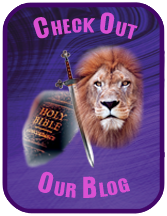 If you would like to look at additional revival tools and resources that will deepen your relationship with the Heavenly Father, Jesus Christ, and Holy Spirit, check out our products. There are several ways you can connect with and support Nathan and Dawn Pietsch. Nathan and Dawn live completely by faith and love offerings. If you would like to sow into their ministry, you can by clicking on their give page and following the directions. Nathan and Dawn Pietsch are available for both personal and corporate ministry. If you would like to invite Nathan and Dawn for ministry, you can by contacting us.